Fire is the greatest threat out on the water. Professionals recommend what’s known as the a 3-legged stool approach: Prevention, Detection and Suppression. Each one is important but all three are needed to provide comprehensive fire protection aboard your vessel. Nearly all vessel owners have aids such as smoke alarms and fire extinguishers onboard. These are essential for detection and suppression but, they do not help with fire prevention. That’s where we come in. Our FireShield material and long-lasting SPF 3000 clear spray fire retardant can be used to provide comprehensive fire protection for boats and yachts. 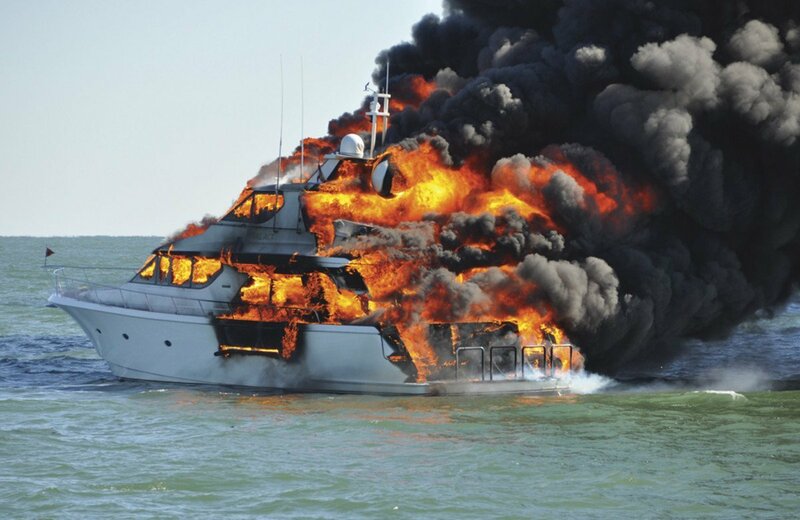 According to the BoatUS Foundation, the majority of onboard fires originate with electrical or engine issues. Routine checks and maintenance are a good first step to ensure fires don’t originate onboard, inevitably though sometimes things are missed. 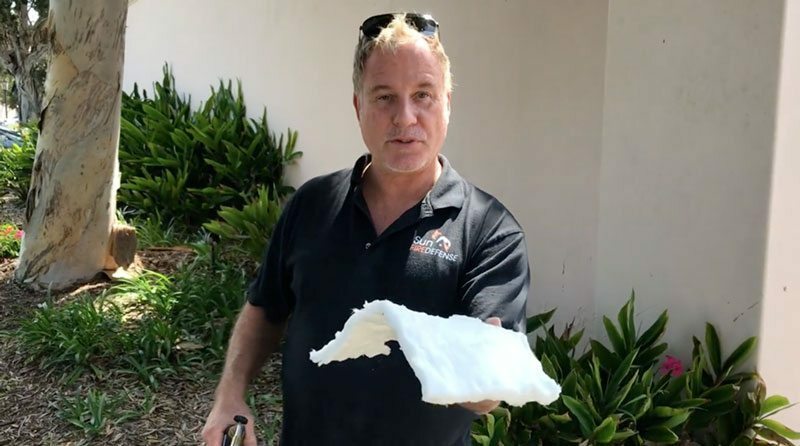 Sun Fire Defense’s FireShield Fabric provides up to 4 hours of fire protection [Download – Holmes Fire Review] and near complete heat insulation to 2300°F. It can be used to line engine rooms, electrical boxes, battery housings and other components to prevent the spread of fires to other areas of the boat and contain damage, giving more time for help to arrive and detection and suppressions systems to take effect. For larger vessels our FireShield material can also be used for dry insulation as well as for hydrocarbon fire protection of bulkheads and decks of major combat vessels and luxury yachts. Our material is easy and quick to install, there is no welding necessary like other bulkier solutions.